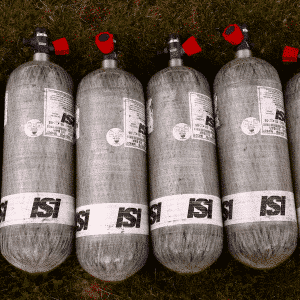 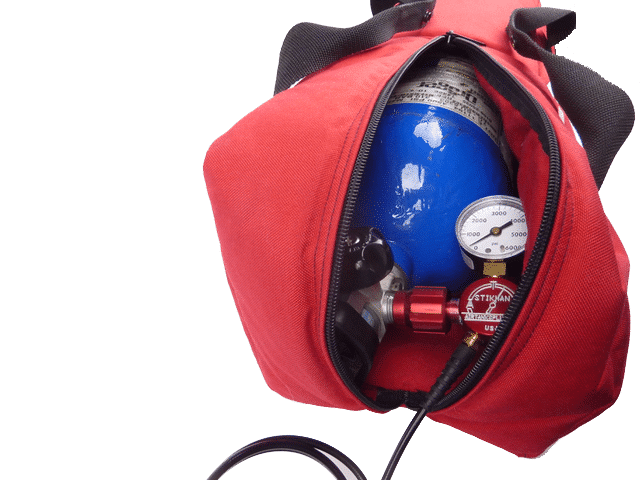 1/2 foam padding to help protect your scba tank. 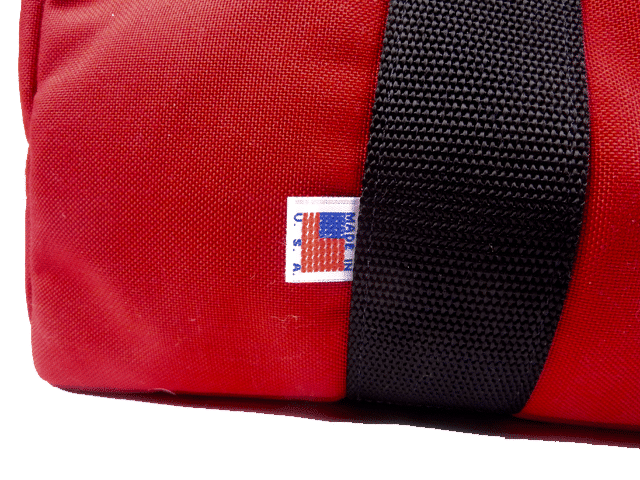 Made in the USA -Helps keep americans employed. 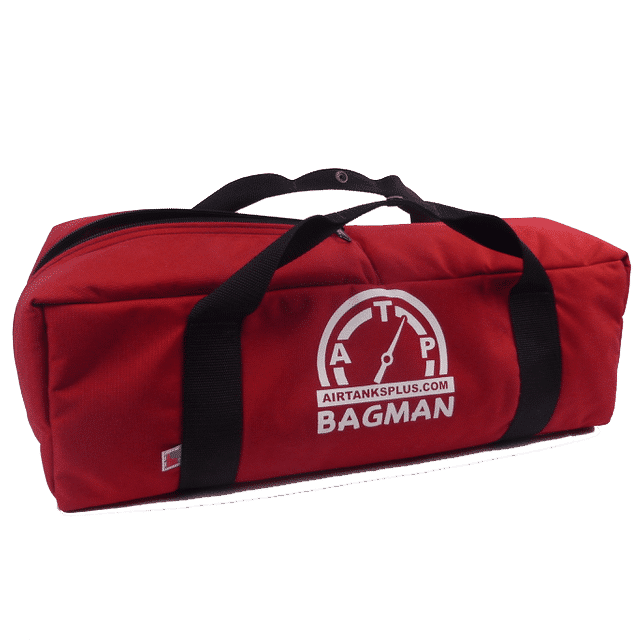 Sign up on the waiting list to be notified when we have stock in ready to ship. 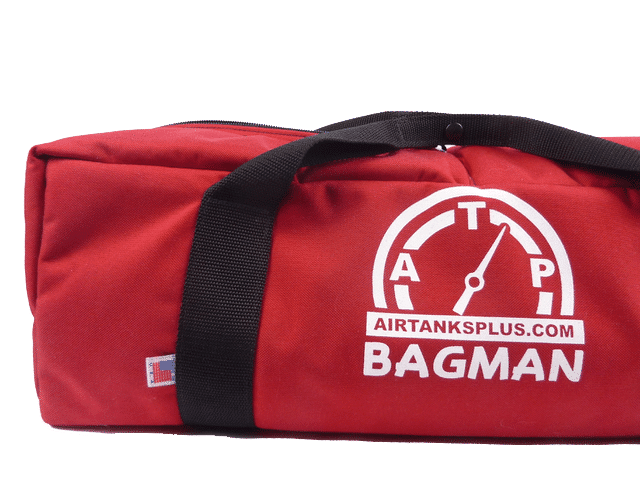 Introducing the Bagman scba tank carrier. 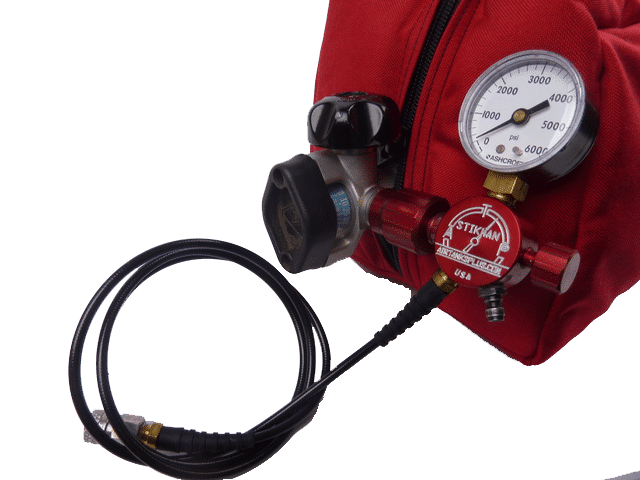 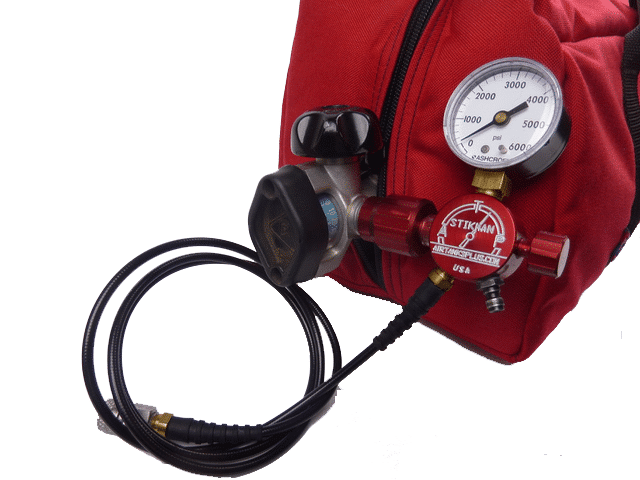 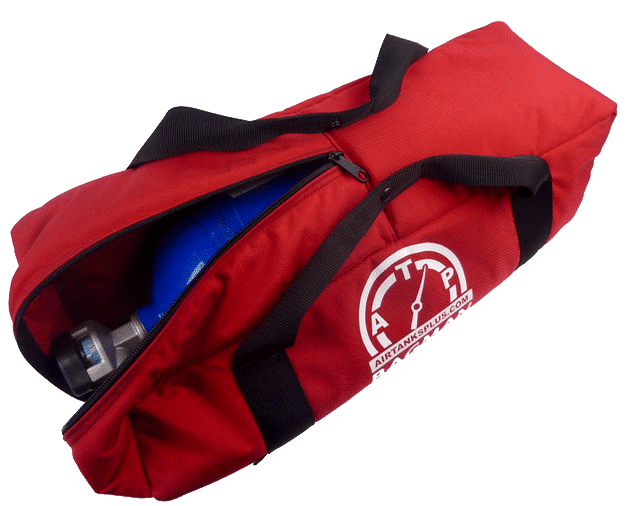 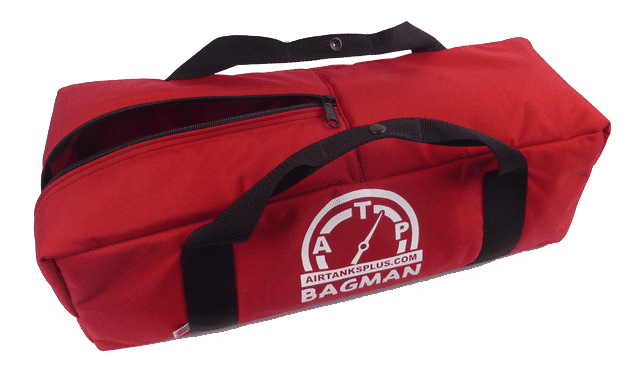 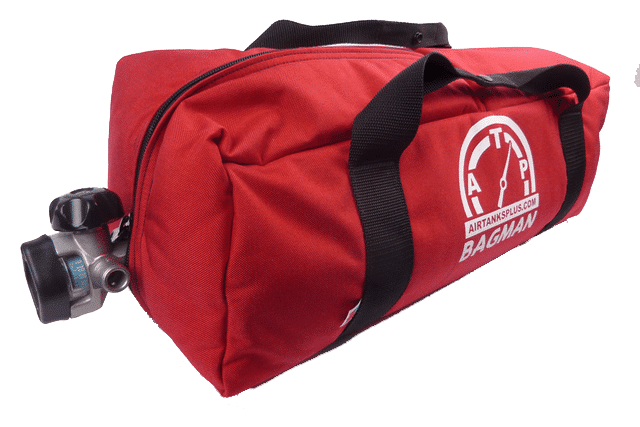 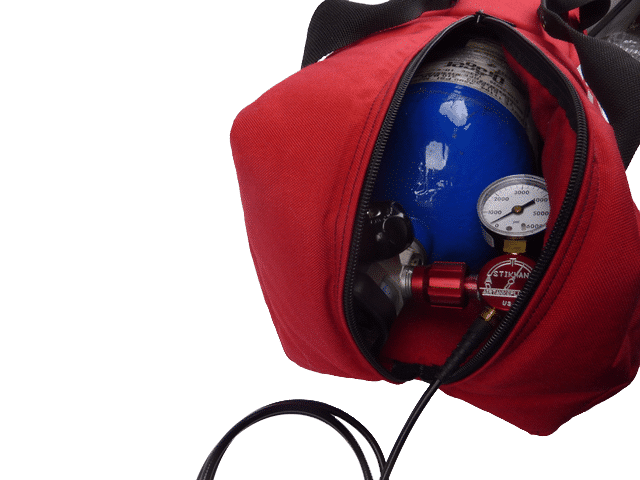 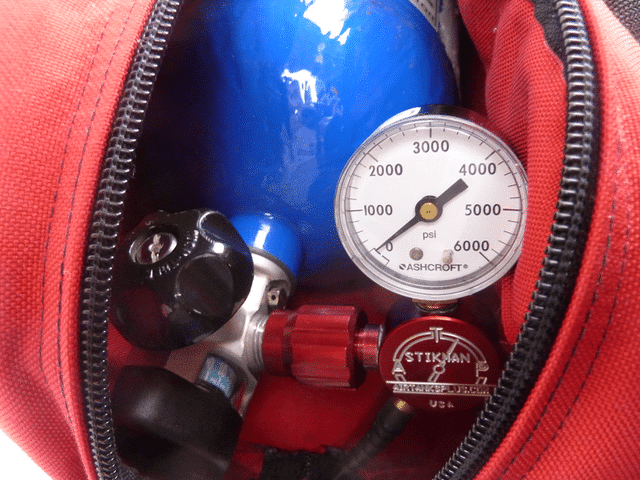 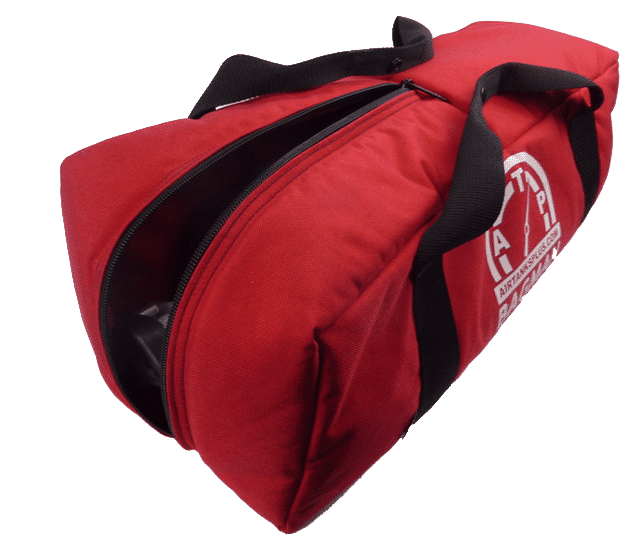 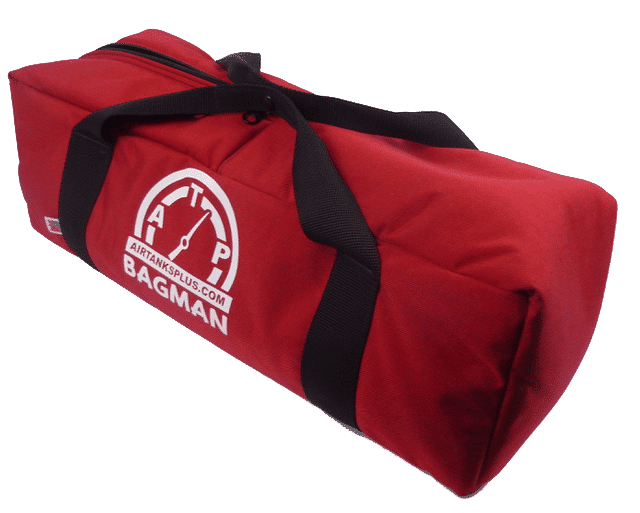 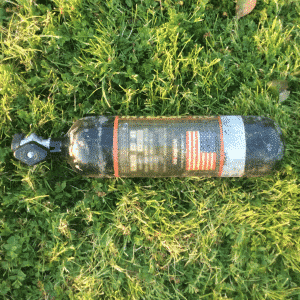 This bag helps with protecting and transporting your scba tank. 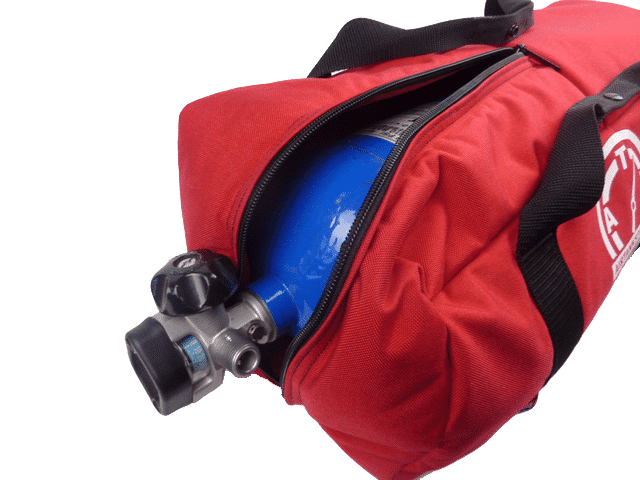 There is nothing worse then trying to carry stuff with a slick scba tank tucked under your arm, just waiting to fall on the ground. 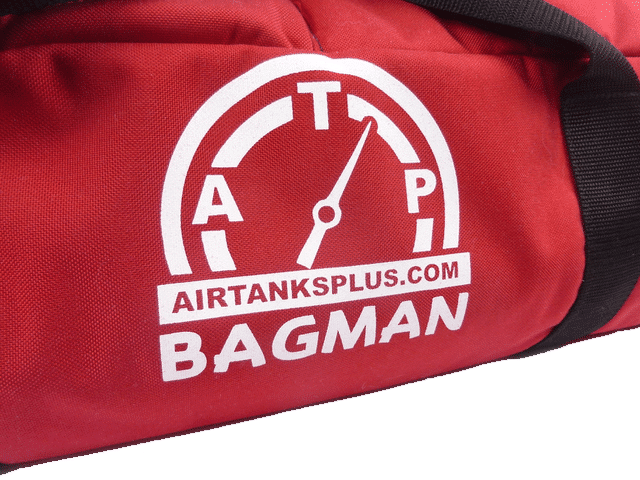 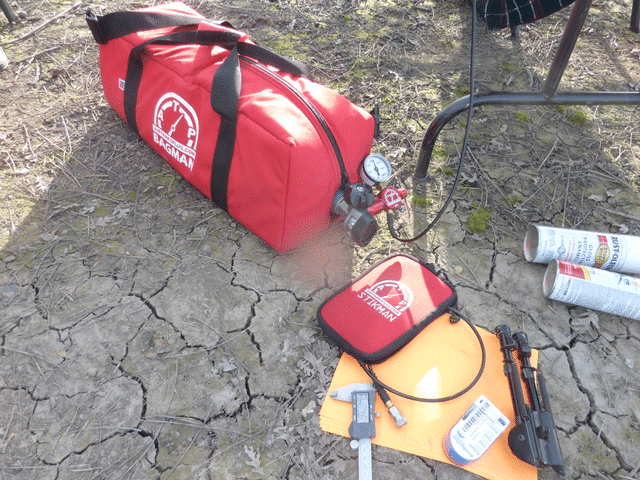 The Bagman we are shipping has the following upgrades not shown in the pictures or video yet. 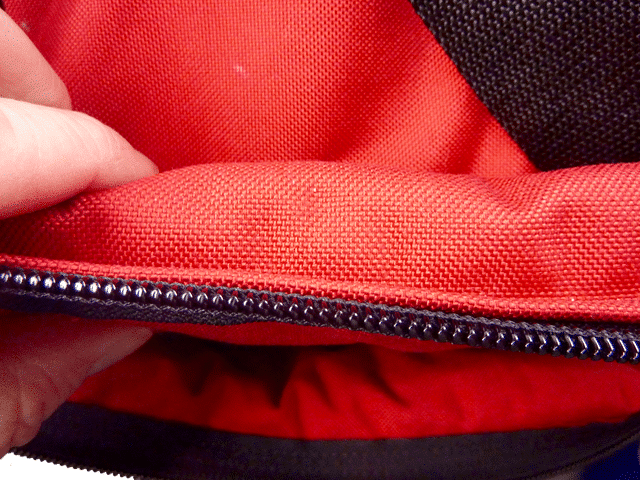 Stiffer foam construction to form a more ridged case. 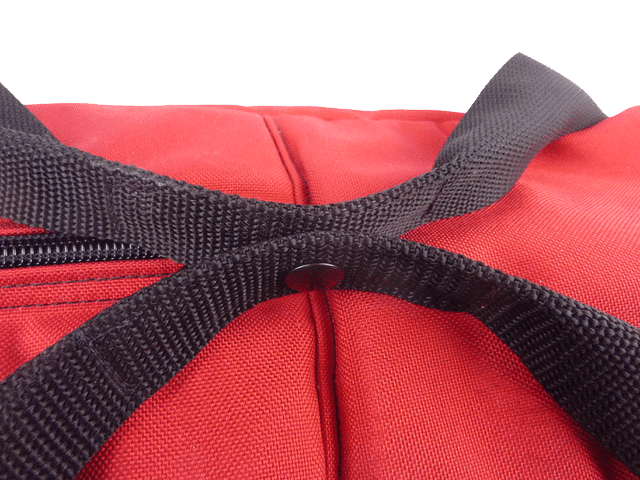 Solid plank insert for the bottom of the bag to prevent rolling. 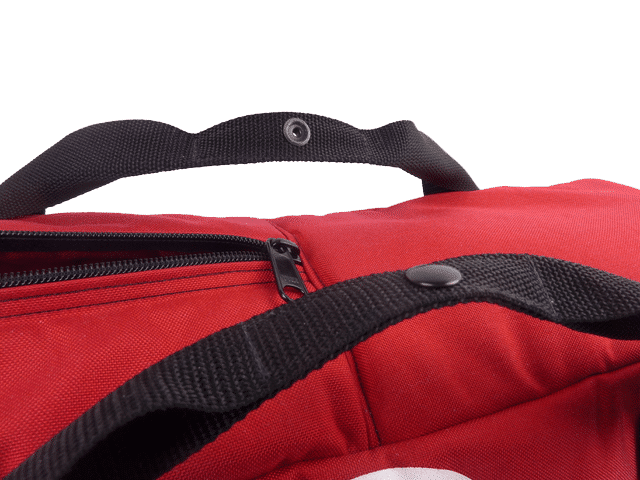 Shoulder carry strap, to make it easier to transport. 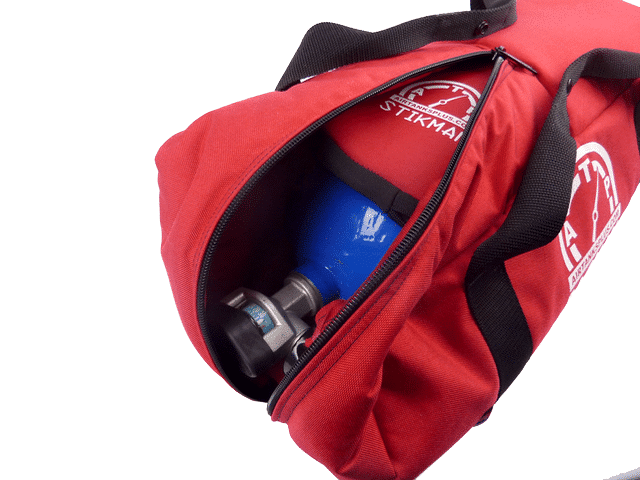 You can now carry the weight on your shoulder, and free up a hand for carrying something else at the same time. 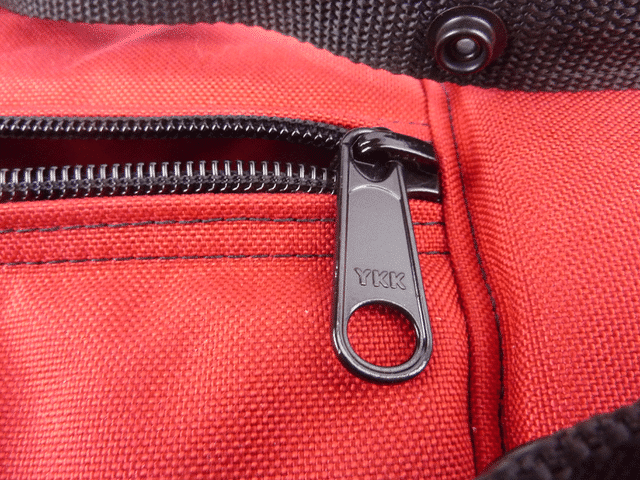 We moved from the snap on the carry handles to a velcro wrap. 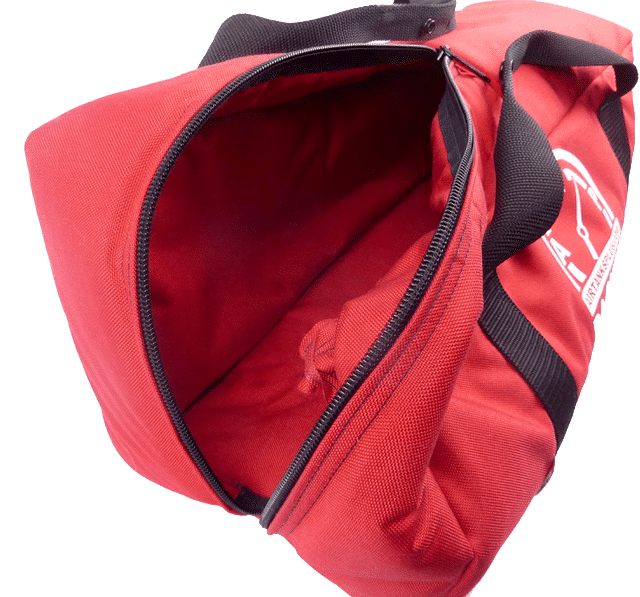 Sometimes the snap would un-snap and pull apart when the bag was lifted. 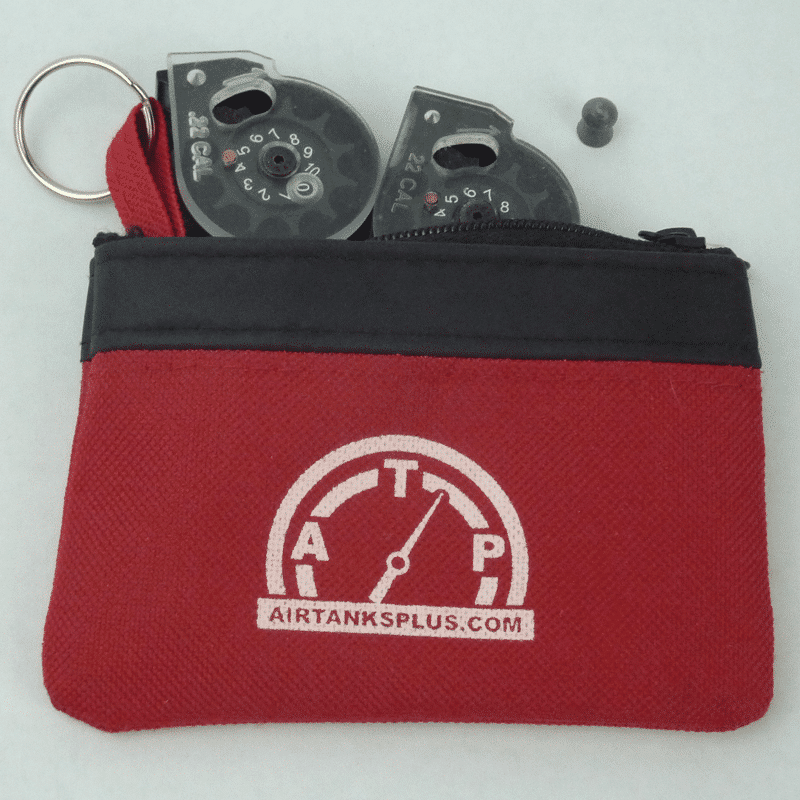 Padded case also helps keep your tank cooler in your vehicle. 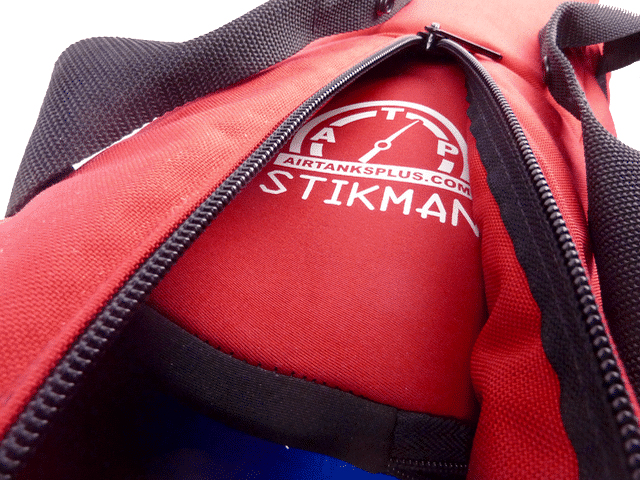 Stikman, tank, and stickman case sold separately.